In association with Amazon.com, Webb-site.com brings you our hand-picked selection of the world's finest finance classics, all at discount prices. This includes many books that we have read and enjoyed. By clicking on a link to a book, you are not obliged to buy it, but if you do so then we will receive a small commission which helps support the running costs of this site. We get nothing unless you buy the book by going through the link! Amazon offers gift wrapping (with messages) and will ship to almost anywhere in the world - why not send a book to a friend? If you want to buy books not listed on this site, you can still support Webb-site.com by clicking here to go to the main Amazon site. We will get a small commission for any items you buy when you use our link. Before you choose, you may like to know about the surprisingly low shipping costs. We find the savings on the first book usually cover the minimum shipping costs. We will be adding more titles to our selection shortly. Michael Backman analyzes a number of dubious business practices that are endemic in the region and which he believes have played a significant part in the Asian financial crisis. Along with an in-depth examination of such troubling symptoms as widespread cronyism and inadequate legal protection, Asian Eclipse includes chapters on the unique business environments of Japan, China, and Indonesia, as well as lucid explanations on how outside investors should approach the new Asian markets. Well worth a look if you still need convincing that the market usually knows best, whether it is the market for stocks or political leadership. More a series of essays than a book, the New Yorker writer takes a non-technical dip into decision markets, game theory, cognition, peer pressure and democracy. John Gray is Professor of European Thought at the London School of Economics. False Dawn argues that, far from bringing about economic paradise, global capitalism, left unchecked, "could well destroy liberal civilization." Gray is careful to distinguish "global capitalism" from "globalization," which he identifies as a broader tendency encompassing "the increasing interconnection of economic and cultural life in distant parts of the world." That societies around the world are coming into closer contact with each other is inevitable; that they will have to do so in a free market, particularly one largely shaped by Anglo-American economic values, is not. In fact, Gray says, pointing to the recent economic crises in Asia and Russia, such a model will not bring societies together, but may well tear them apart. As an example he cites the fact that free markets mean that less-developed countries must compete to allow the worst pollution and labour rights in order to achieve the lowest cost of production. "A worldwide free market," he warns, "is no more self-regulating than the national free markets of the past.... Unless it is reformed radically, the world economy risks falling apart in a replay, at once tragic and farcical, of the trade wars, competitive devaluations, economic collapses and political upheavals of the 1930s." If you have read either of his earlier books "Soros on Soros" or "The Alchemy of Finance" then you will be on familiar ground in the first few chapters as Soros briefs the reader on his theories of reflexivity and how they apply to markets. While repetitve, this is a necessary primer to the thesis that follows. 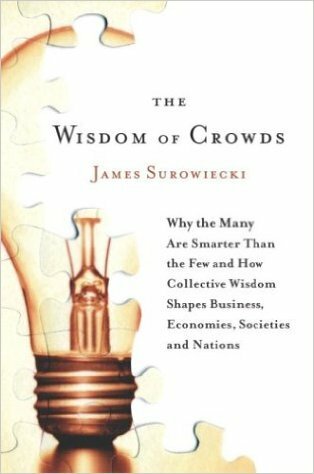 In this new book, Soros argues that in the last 20 years, the emergence of "market fundamentalism"--that is, the idea that markets need only be regulated by the forces of profit and competition--has distorted the role of capital to the extent that it "is today a greater threat to open society than any totalitarian ideology." His arguments are not dissimilar to John Gray's (see above) and make compelling reading. Soros points out that free markets are not self-regulating and need a strong government structure, including the rule of law, competition regulators and an indpendent judiciary, to allow them to function. In some countries, such as Russia, this doesn't even exist on a National level, which is why capitalist reforms have led to anarchy. On an international scale, the lack of sufficient regulatory structure, for example on international lending, can cause the same problems. This book was trashed by The Economist, but we've read it and you should too. A must-read definitive account of the rise and fall of Long Term Capital Management, arguably the largest ever hedge fund, with some US$100bn of assets and almost as many liabilities when it crashed in Sep-98. Led by former Salomon trader John Meriwether and Nobel laureates Robert Merton and Myron Scholes (of the option model fame), the fund had a golden run from 1994 to Aug-98, making so much that the partners returned capital to outside investors in Jan-98 to gear up their own stake. Hubris got the better of them as they took increasingly directional bets and higher leverage, eventually falling into the famous fat tails of the not-so-normal curve and finding themselves squeezed by investment banks as their positions became known and copied. Ultimately the New York Federal Reserve stepped in to co-ordinate a bail-out by the major banks of Wall Street. The collapse coincided with the Russian Rouble debt default and the HK Government's stock market intervention, where LTCM was probably short. Lowenstein tells the tale in dramatic fly-on-the-wall terms. This much-misunderstood man has generated more newspaper copy than any other hedge fund manager. Don't read his book expecting to discover any investment secrets - for that you need the Alchemy of Finance (below). A frustrated philosopher at heart, Soros explains his theory of reflexivity - which boils down to the observation that market movements are governed by investment decisions, which in turn are determined by people's expectations of market movements. That is, feedback in a complex system. There is an increasing wealth of academic research into complexity theory which supports this view. Soros also explains why he has spent hundreds of millions of US dollars on his Open Society Institute, an effort to promote the development of democratic societies with their accompanying free markets which have served him so well. In this book Soros explains the investment strategies he used when he managed the Quantum Fund, the most successful hedge fund in history. You won't learn how to become a billionaire, but you will gain some insight into how he made some of the big macro-calls, including his celebrated bet against sterling devaluation. You will also read about some of his more spectacular losses. World-renowned economist Galbraith, the bestselling author of The Affluent Society, reviews great speculative booms of the last three centuries, including the junk-bond follies of the 1980s. With wisdom and wit, he shows how the lessons of history can help us avoid financial calamity. This updated version of a celebrated classic takes readers through virtually every major crash and financial panic on record. From the currency devaluation in the Holy Roman Empire in 1618 through the California gold rush of the 1840s and 1850s to the crash of 1987 and the Mexican Peso devaluation, this engaging, lively, and exhaustively researched account offers a wealth of fascinating insights into why they happened. Buffett is probably the most famous value investor ever. Starting from scratch, simply by picking companies for investment, Warren Buffett has amassed through Berskhire Hathaway one of the largest fortunes of the 20th century. That awesome record has made him a cult figure. This illuminating biography reveals a man whose conscientiousness, integrity, and good humor exist alongside an odd emotional isolation. Lowenstein traces Buffett's life from his earliest business as a newspaper delivery boy, his enormously successful partnership; his early, inspired investments in American Express and Geico; his companionship and investment with Katharine Graham of the Washington Post; his role in the Capital Cities purchase of ABC; his unique relationship with his wife and mistress; and his rescue of the scandal-ridden Salomon Brothers. If you think that the investment world has entered a new paradigm, think again. Value investing is as valid a proposition as it has always been. This 1934 classic is probably what inspired Warren Buffett, who worked for a brief time under Benjamin Graham in his later years. Be warned, this book is long and technical. No pain, no gain. If value investing was effortless then everyone would do it and the opportunities for exceptional returns would be removed. If you prefer more of a layman's guide, then look at our next choice below. Published in 1949, the longevity of this book underlines its importance as a guide to value investing. As a basic guide to establishing a rational investment framework, the book's insights are as sound and useful as ever. The new hardcover edition of this classic work includes an introduction and an appendix by one of Graham's best-known disciples, Warren Buffett. The lessons of The Intelligent Investor are founded on timeless principles of value investing. Graham shows the reader how to develop a rational investment policy and how to avoid costly errors. He takes into account the differing concerns and goals of "defensive" and "enterprising" investors, and he provides basic information on stock selection, portfolio policy, and the operation of the market. His advice is supported by decades of successful investment and a deep understanding of the market's history.